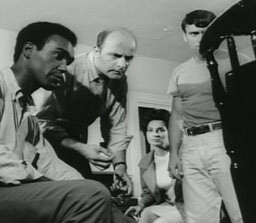 flashzombies.com - "Night of the Living Dead"
Johnny and Barb start out the movie visiting a graveyard to pay respect to a loved one. When suddenly an insane man comes out and attacks the girl. Then Johnny tries to fight him off and the insane man kills him. The girl runs and runs as fast as she can, until she finds a farmhouse. Locks the door, and so the story starts. What she later realize's its not a man, its a zombie. What the cause of the zombies becoming zombies is a space craft named "Venus Probe", that returned to earth with a strange radiation. This radiation makes the dead rise. Barb is also not the only one who finds this townhouse. A scared group of people, and tons of zombies who fiend for flesh and blood. While they think they are safe, little do they know the little girl downstairs is infected and it is only a matter of time before she turns to devour them all. 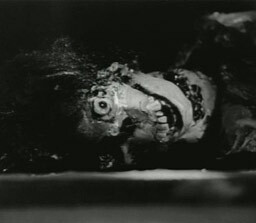 A classic zombie film when the zombies were slow paced and dumb. Now we have a higher level of zombie movies with naked running zombies, monster zombies with rocket launchers and arcade samurai zombie games(where you use a sword in your hands and kill the zombies) Many movie critics labeled this movie "One of the scariest movies of all time". If you have not seen this movie, you should check it out. The movie is really old, and probably as cheap as $9.99. For any zombie fan, this is a movie to have in your library. As well as George Romero's "Dawn of the Dead" , and "Day of the Dead" then you will own the trilogy. What do you think of this movie? 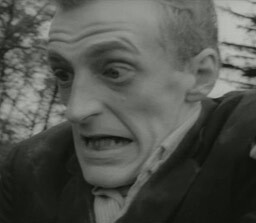 Click here to discuss Night of the Living Dead in our forum.